John Afoun took over the helm of the Moline Housing Authority (MHA) on November 1st 2010. He has since become the President/CEO of Moline Housing Development Corporation (MHDC) and Moline Housing Property Corporation (MHPC), which are subsidiaries of the MHA. He is responsible for the day-to-day operations of the agency. MHA has maintained its higher performer status for Public Housing Program under his leadership, and there has been significant improvement in the day-to-day administration of the Housing Choice Voucher Program (Section 8). 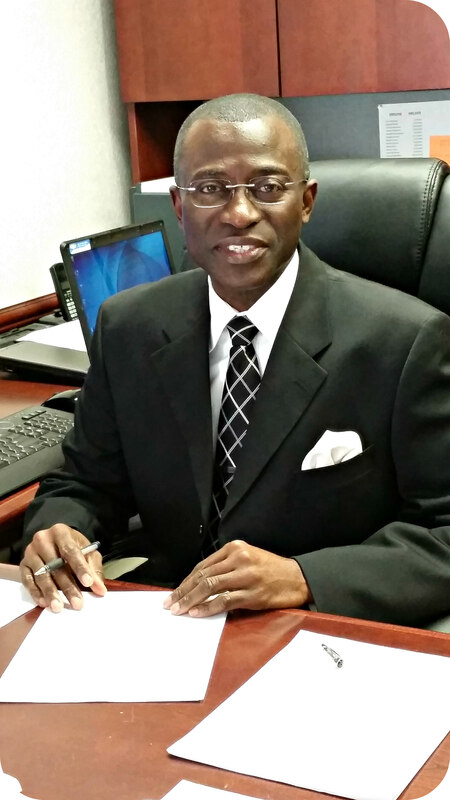 Mr. John Frank Afoun has over 30 years of experience in housing and related fields both domestically and abroad. Over the years, he has managed housing authorities ranging in size from 246 public housing units and 8,000 Public Sector Housing units for the Refugee Housing Authority in London, UK. John has experience managing a state funded and regulated housing authority and a housing authority regulated by the U.S. Federal Department of housing and Urban Development (HUD). He has been responsible for the day-to-day operations of the organizations in which he served including the development, maintenance, and management of all housing stock, the agency's non-profit private housing policy, and operational procedures, managed the effective use of agency resources and staff while ensuring all Capital Projects were completed within budget and on schedule. He has created strategic goals and monitored their progress while directing all administrative and management activities. In his role as Executive Director, Mr. Afoun represented his Agencies in proposals and technical consultations with Architectural/Engineering firms, contractors, banks, municipal officials and other government agencies. He has secured funding, and developed new senior housing and was responsible for the modernization of an Agency's entire housing stock increasing the number and the quality of affordable housing in the area. While working in the UK, John streamlined operations and reorganized multiple agencies resulting in huge cost savings, increased efficiency, and productivity. He has developed and successfully implemented a comprehensive welfare to work program, advised the management committee on all aspects of housing development and investments and carried out development appraisals, valuations and feasibility studies. He identified development sites within the city, and ensured that projects were completed within budget and on schedule. John has developed a homeownership program and the marketing strategy for the sale of Authority constructed homes. He developed a mechanism for credit risk assessment to determine resident's ability to afford and maintain a home and developed a policy and strategy to prevent and end homelessness. Under his leadership, several Agencies in which he served achieved HUD-rated high-performer status and became award-winning Agencies. he is a member of the National Association of Housing and Redevelopment Officials (NAHRO), and the Public Housing Authorities Director's Association (PHADA). Maria Nino, Executive Assistant/Accoutning Coordinator, has a bachelor degree in accounting and has been with the housing authority since August 2001. She began her career at the Moline Housing Authority as a Property Manager Assistant, then worked her way up to Property Manager, then was the Technical Services Assistant, and finally came to be the Executive Assistant/Accounting Coordinator. As the Executive Assistant/Accounting Coordinator, Maria is under the direction of the Executive Director and supports the daily activities of the Executive Director and the Authority. She handles procurement, the capital fund program reporting, accounts payable, finances, and serves as the recording secretary at the Board Meetings, to name a few.